The first week, my classmates brought their parents in to tell us about their jobs themselves. One girl’s mom is a cop who catches moms like mine wandering the streets in teetering heels and jewelry around their wrists and necks that clatters like teeth in cold. Ms. Shaeffer decorated with balloons and streamer paper that tasted like stale salt. The second week was for the kids whose parents couldn’t come. Like me. We had to tell our peers about what are parents did to keep us fed. The red and blue and green streamers are still up, though they’re drooping like frowns, and the balloons are heavy looking. 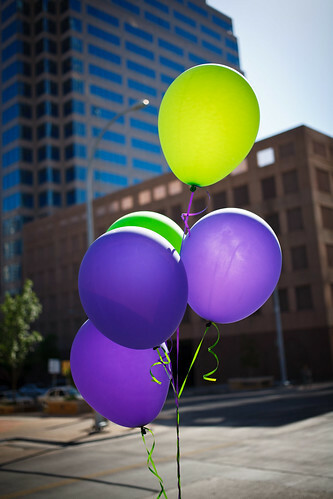 Ms. Shaeffer doesn’t understand why I don’t want to share and moves a bouquet of tired green and purple balloons next to me at the front of the room, smiling like my grandma before she forces a spoon of cod liver oil into my mouth every morning at breakfast. In front of the class, I gag just like that, but as silently as I can. We have to talk for seven minutes. The only thing I can think to say is how my dad splits stones and digs ditches by the roads and how my mom loves any man who needs it. m.nicole.r.wildhood is a Colorado native who has been living in Seattle—and missing the sun—since 2006. She has been a saxophone player and registered scuba diver for over half her life. 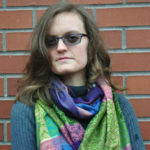 In addition to blogging at http://megan.thewildhoods.com, she writes poetry, fiction and short nonfiction, which have appeared in The Atlantic, xoJane, The Atticus Review, Five and elsewhere. She currently writes for Seattle’s street newspaper Real Change and is at work on a novel, two chapbooks (one in Spanish) and two full-length poetry volumes.